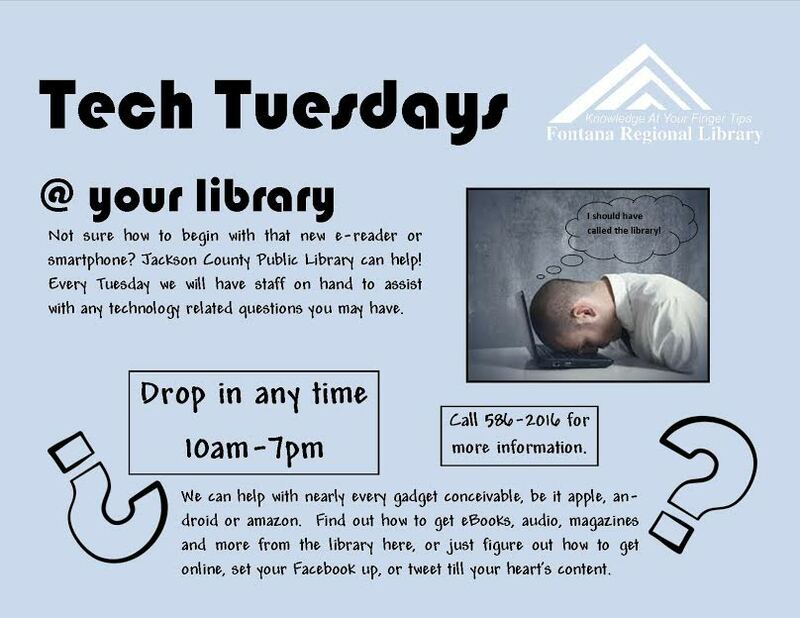 Jackson County Public Library is proud to offer our technology resources to the Fontana Region! Our library provides high-speed internet on 28 public access computers, 27 laptops, and three netbooks, which are available for use around the library. 10 AWEs are available for children downstairs with over 50 games. If you prefer to bring your own device, the library offers free WiFi. The library features several areas where you can sit comfortably with your device while connecting to our wireless internet. We have several eBook experts on staff who can help you! You can stop by any time or make an appointment to get assistance with your eReader device. We also have several drop-in sessions throughout the year. Visit our eBook information page for information and online help. Digitally capture your microfilm or microfiche on a USB drive. We have a self-check machine, where you can check out your own books! In this session we will be playing with more google apps. The group is open to anyone who has an iPad or iPhone and wants to learn more about resources and applications. We will emphasize the sharing of questions and knowledge, as discussion will be key to the success of this group. Please call the Library 828-586-2016 for more information. ▸ View all Technology/Computer Classes at Jackson County Public Library.